Why do people insist on creating phones that are uber expensive and rather unattractive? At a pinch I could understand it if someone wanted to coat the latest BlackBerry in molten gold, but pimping what looks like a fairly basic handset seems rather silly. 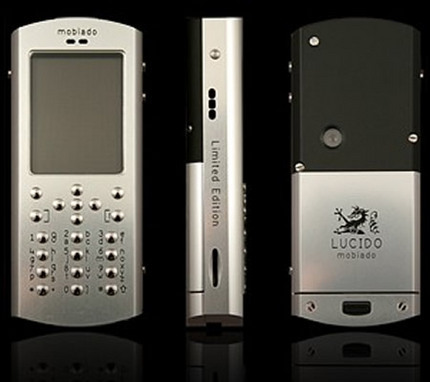 Say hello to the Mobiado Lucido, a mobile that combines sapphire crystals and aircraft aluminium into a rather uninspiring candybar shell. For an undisclosed price (think expensive) you’ll get a 2 megapixel camera and a 2GB memory. And, um, it will play MP3, MP4, eAAC+ and AAC files. Wooo! There are only 200 models available so if you want this you better act quickly. That’s a big IF though.